Photo: Nicholas Noyes via flickr. 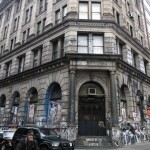 The city’s real estate community–and anyone who follows cool and mysterious old buildings–was recently fixated on the sale of the famous “bohemian dream house” at 190 Bowery to developer Aby Rosen’s RFR Realty. If you’ve ever walked past the fortress-like six-story corner building you may have wondered about what looks something like a long-abandoned bank, with few signs of life within. That is, unless you read this New York Magazine article (or a handful of subsequent ones). For the past 45 years, the 35,000 square-foot 1898 building–formerly the Germania Bank–has been the private residence of photographer Jay Maisel, his wife, Linda, and daughter, Amanda. The photographer bought it–when it was actually abandoned—for $102,000, and has been living in the 72-room building with his family ever since. 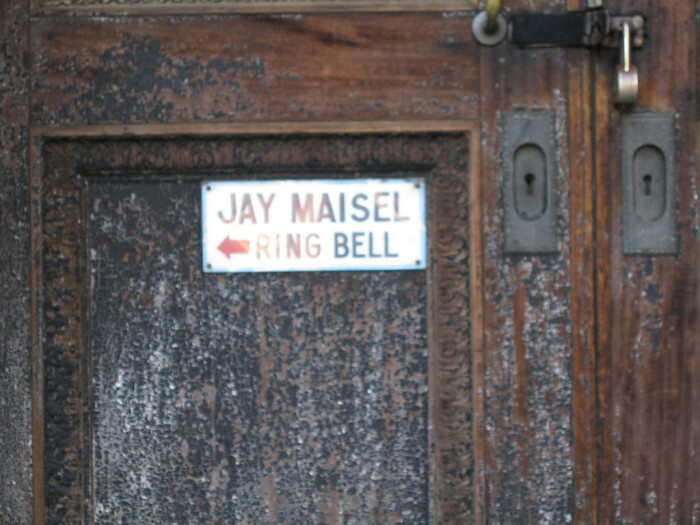 Maisel did most renovation work himself. And since the building is an official landmark, simple repairs could be difficult. 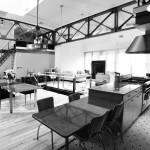 The former bank’s vast interior spaces—in most cases, very little has been altered—make a perfect backdrop for a photographer’s dream home. The first three floors served as gallery space for photography and art projects; In the basement, former safety deposit vaults the size of large studio apartments stored photographs. 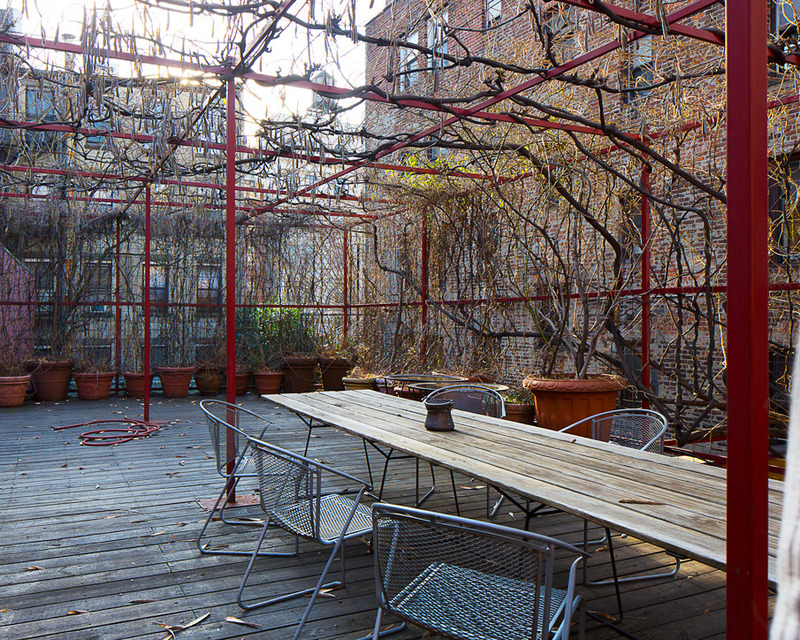 The family tended a vegetable garden on the building’s rooftop. The amount of the sale has not yet been revealed, but the value of this rare and unusual space has been estimated at $50 million. 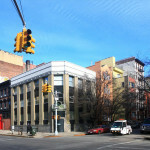 Real estate watchers assume 190 Bowery will be converted to condos after a very comprehensive renovation. 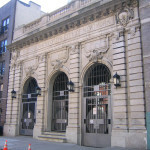 Anchoring the northeast corner of Avenue C and Seventh Street in Alphabet City, the landmarked Public National Bank Building is one of the neighborhood’s fascinating secrets–its architectural uniqueness is pure East Village. The highly unusual, ornate American Modernist structure was designed and built by noted modernist architect Eugene Schoen in 1923. The former bank building was subsequently a nursing home, then an apartment building containing only two massive units. 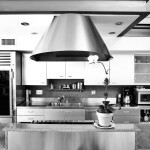 In the 1980s it was used by artist and furniture designer Richard Artschwager as a work studio. Currently owned by Catherine Kord, the artist’s ex-wife, the impressive corner building contains only two apartments covering 5,000+ square feet. 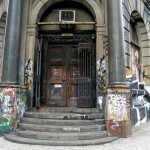 As with 190 Bowery, there is very little outside evidence of the building’s colorful inner life. 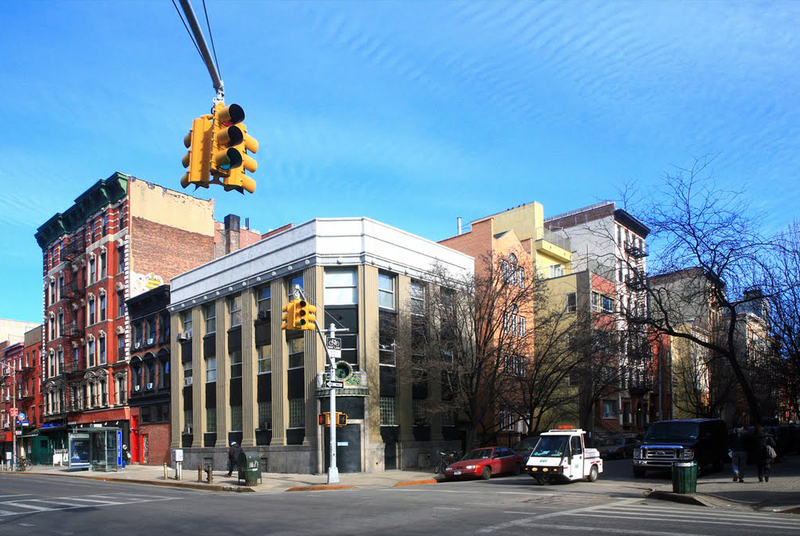 A former Con Ed substation in the East Village that served as the home and studio of yet another artist was recently sold to billionaire Peter Brant. 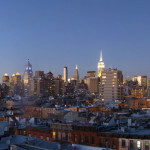 According to city records, the American businessman recently bought the building at 421 East 6th Street for $27 million. 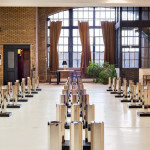 Constructed in 1920 to serve the city’s power needs, the building was altered in the 1960s and again in the ‘80s to accommodate an epic live-work space for the artist Walter de Maria, who died unexpectedly of a stroke in 2013. Nondescript and gritty on the outside, the building’s cavernous interior spaces were vast enough (with ceilings as high as 32 feet) to accommodate the renowned artist’s minimalist sculptures. De Maria kept many of the building’s interiors in their original state–including its vintage elevator and Viking stove. 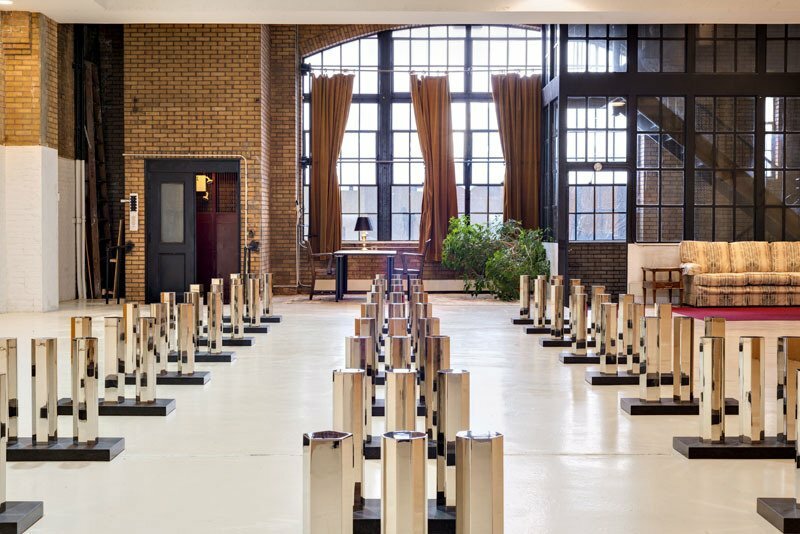 Installations like his “Bel Air Trilogy,” consisting of three two-tone ‘55 Chevrolets impaled by silver stakes, were lifted into the building via a two-story ramp leading up to the second-floor studio. Brant, who is married to supermodel Stephanie Seymour, is an art lover–he’s the publisher of both Interview and Art in America magazines and has been called a “Donald Trump with taste,”–but he has provided no hints on what he will do with the building. Left: Beethoven Hall facade. Photo by Alice Lum, © Daytonian in Manhattan. 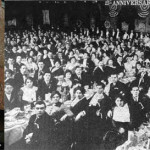 Right: Hebrew-American Typographical Union celebration at Beethoven Hall in 1914–The Typographical Journal. Hidden away on East 5th Street in the East Village, Beethoven Hall was built in the 1860s. One of Manhattan’s most popular German social halls at the time, it was used for weddings, dances and political meetings. In the 1980s the building at 210 East Fifth Street housed a film studio called Mother’s Sound Stages. After a fire destroyed the mansard roof and upper floors, a group of investors bought and renovated the space as New York Kunsthalle (“art hall”) to showcase the works of emerging and unknown artists. 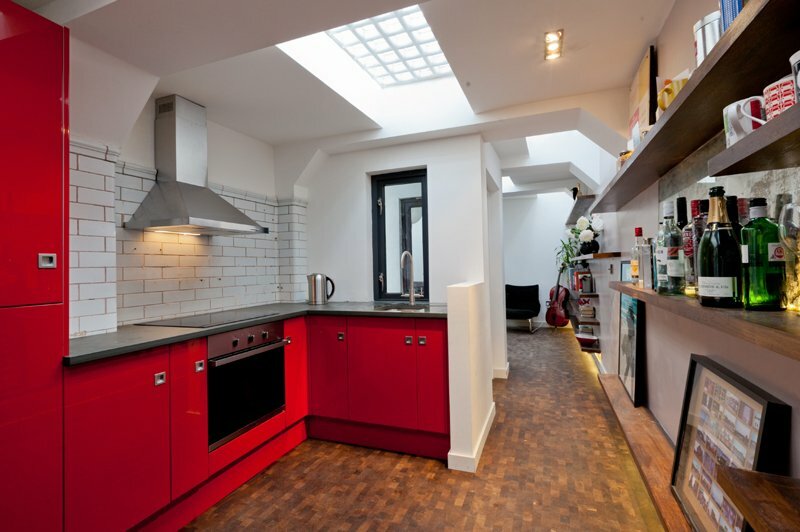 The upper floors were converted to living and studio space for artists. Third floor loft at Beethoven Hall on East 5th Street. Photo courtesy of Sothebys/Nikki Field. 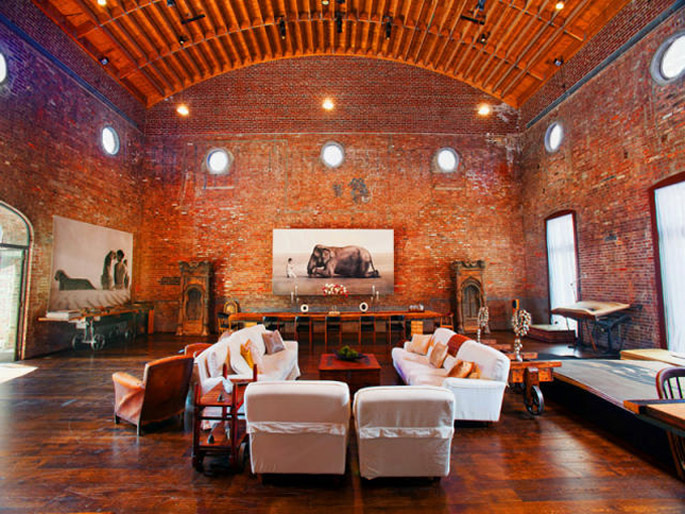 One of those artists was photographer Gregory Colbert, who had purchased his 11-room 6,785 square-foot apartment for $6 million in 2004 (the building had been converted to a four-unit condo). 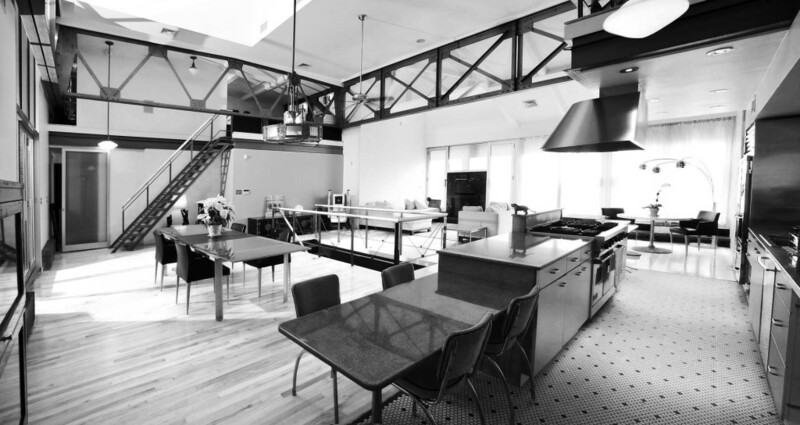 Colbert listed the barely-believable loft space for $25 million in 2012. 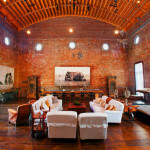 The loft occupies the third floor–which includes the “Beethoven Hall” room–and boasts 32-foot arched ceilings. There’s a gym on the mezzanine level and a huge storage vault in the basement. 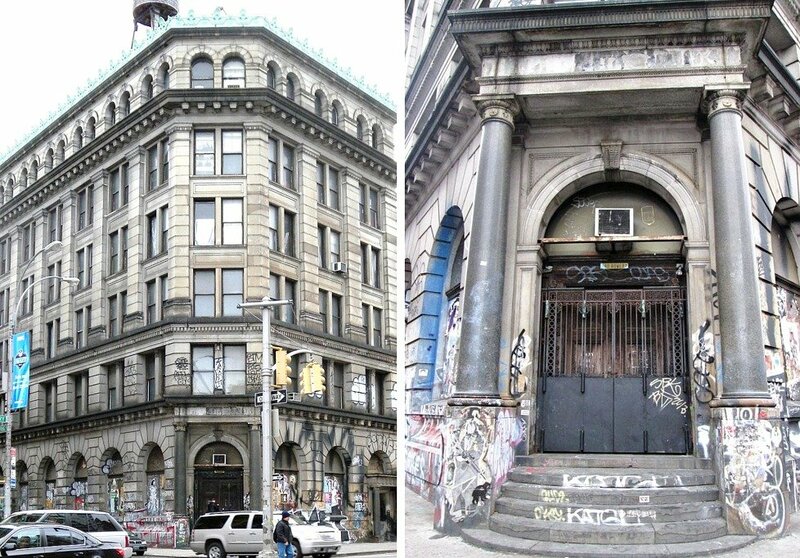 The imposing, mysterious “Bath House” at 538 East 11th Street was used for many years as an illegal auto garage and chop shop (it had previously been a huge wholesale grocery supply business). In 1995 Pulitzer Prize-winning photographer Eddie Adams, who died in 2004, and his wife, Alyssa, purchased the building and turned it into an enormous home and photo studio. 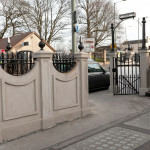 Adams’s wife and son still live there; the space, known as Bath House Studios is used for film, photo and fashion shoots and promotional events. 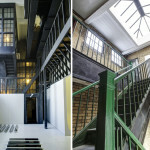 Interior of late photographer Eddie Adams’s home and studio; currently used as a photo studio and event space. Photo © Bathhouse Studios. 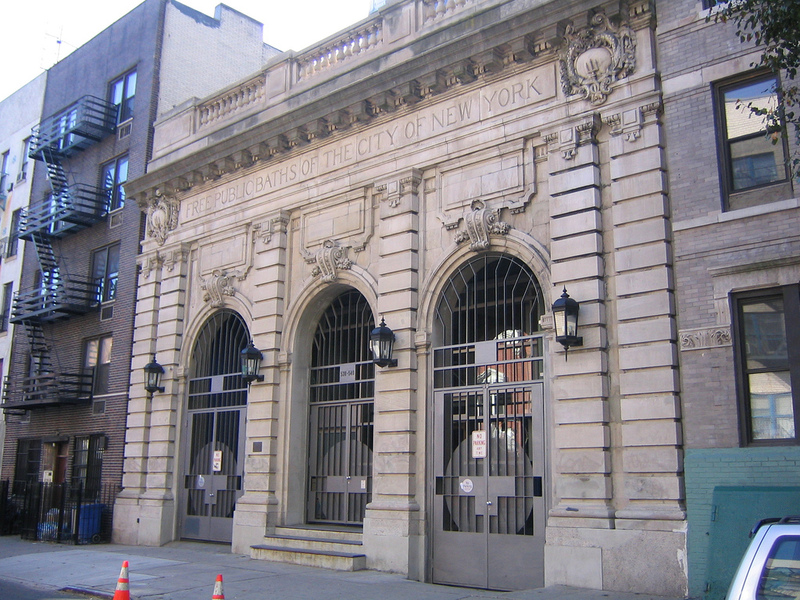 The historic stone building with its vast gated entry arches, above which is etched, “Free Public Baths of the City of New York,” was built in 1905 as a public bath for the neighborhood’s recent immigrants, many of whom lived in tenements that lacked indoor bathing facilities. Prominent architect Arnold Brunner designed the building in the neo-Renaissance style; its outer entry arches were built so that men and women could enter a common lobby space without seeing each other. The building’s intricately-carved and classically detailed main facade and trim are Indiana limestone. The building, now an official city landmark, appears as the backdrop in the 1981 film Ragtime. 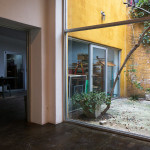 Interior garden in Izhar Patkin’s home/studio in an old school building. Photo by Zhu Zhe courtesy of BrunchWith. 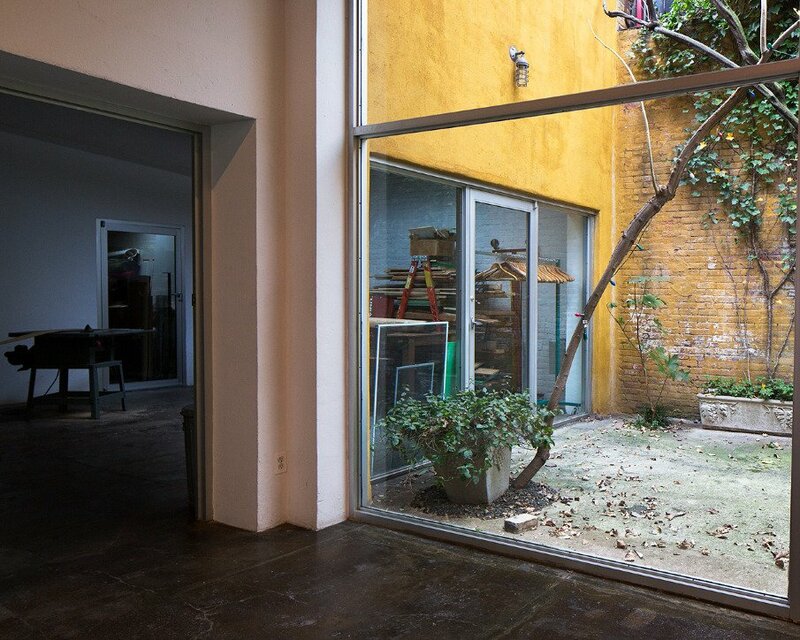 Also in the East Village on First Street between First and Second Avenues, artist Izhar Patkin’s epic living space and studio comprise another amazing one-of-a-kind New York City home for an artist and his extended family. The seemingly-endless arrangement of rooms and interior gardens in a former vocational school are filled with the noted Israeli artist’s work in various media including massive glass and aluminum sculptures and veil-like painted fabric pieces. A beautifully landscaped interior garden includes a metal spiral staircase and dozens of flowering trees. The artist occasionally hosts parties and studio tours of his home in conjunction with art museums and cultural organizations. 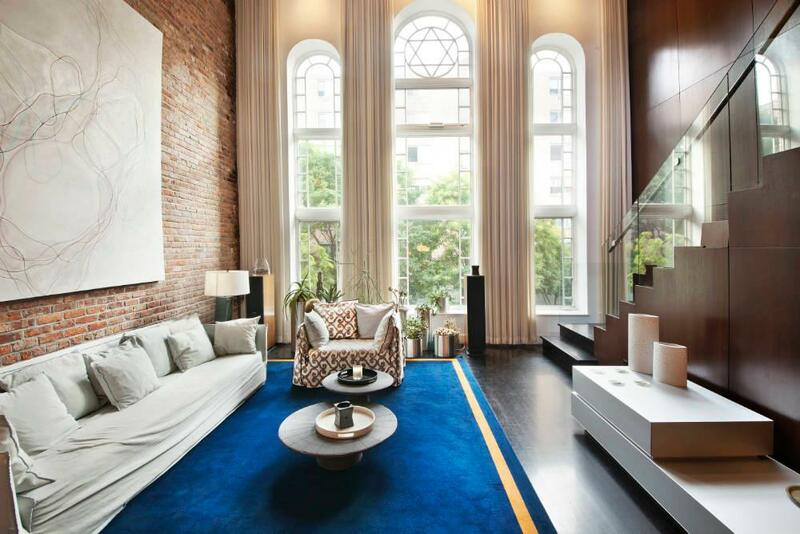 Luxury townhouse in a former synagogue on East 8th Street. Photo © Town Real Estate. 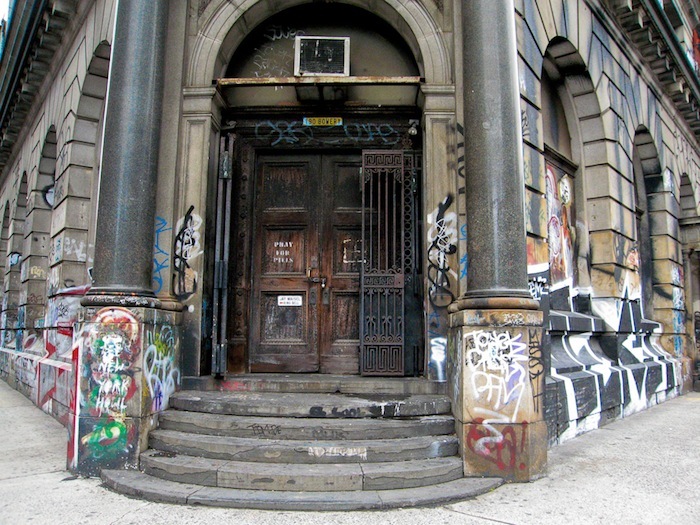 While it may not be a bohemian paradise–the space was recently listed for rent for $25k a month–the four-story former synagogue at 317 East Eighth Street in Alphabet City between Avenues B and C is far from the average Manhattan living space. 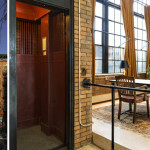 The luxurious townhouse–updates include Brazilian hardwood cherry floors, hand-poured Brazilian glass mosaic tiles, radiant floor heating and an eight-person hot tub on the master terrace–was created within a landmarked historic synagogue in 2005. 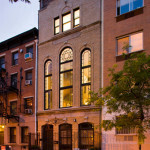 The home’s arched floor-to-ceiling windows are exact replicas of the tenement shul’s original windows. Photo courtesy of Laura Jane Clark/Lamp Architects. 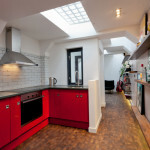 It’s easy to create a comfortable home in a huge former school or power-grid building, but at just over 600 square feet, this tiny home in a former London public restroom, the work of architect Laura Clark, was definitely more of a challenge. 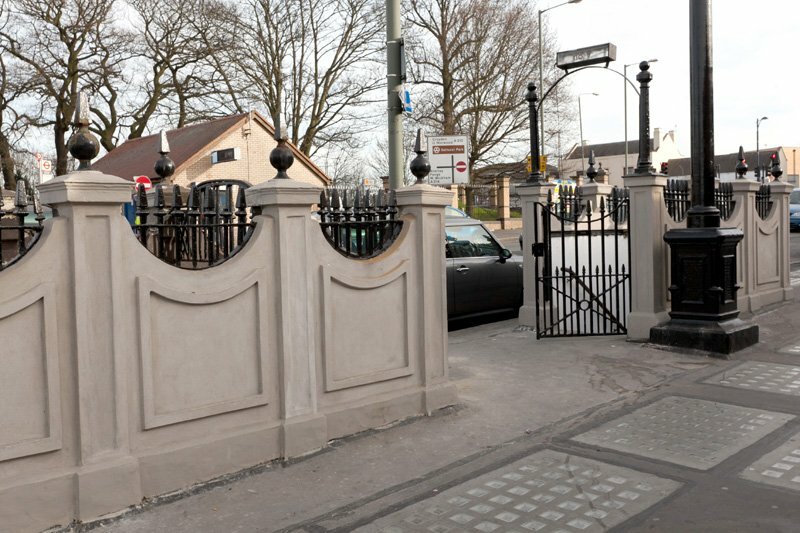 After six years of cajoling, authorities finally allowed Clark to purchase the abandoned restroom at Crystal Palace Parade and turn it into a one-bedroom subterranean apartment. Working conditions were so unpleasant that Clark ended up doing most of the work herself. The resulting apartment is clean and cozy and even includes a small outdoor space. Clark blogs about the transformation here. 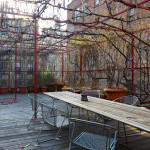 Read more about the project at Apartment Therapy. It might not be the largest or smallest but it’s definitely the oldest among the cool spaces listed here. Twenty-three-year-old Alexis Lamoureux and his girlfriend Lotte van Riel purchased an abandoned cave house in the Loire River town of Amboise, France from the French government for one Euro in an auction; the home had once belonged to his great aunt. The area had been used for mining in the 11th century (!) 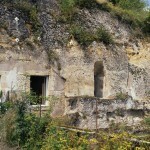 and the resulting hollowed-out cave-like spaces had been used in the centuries that followed as inexpensive dwellings known as troglodyte homes. 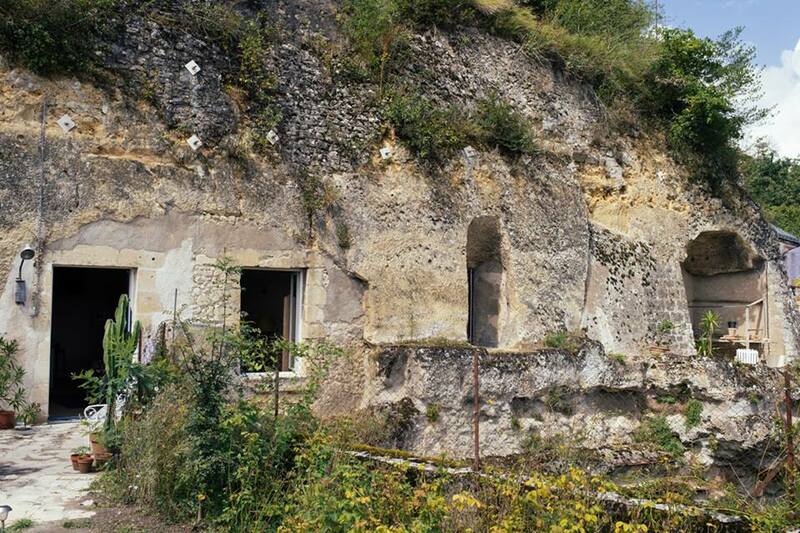 Most of these rock-grotto homes were abandoned and fell into disrepair in the early 20th century. 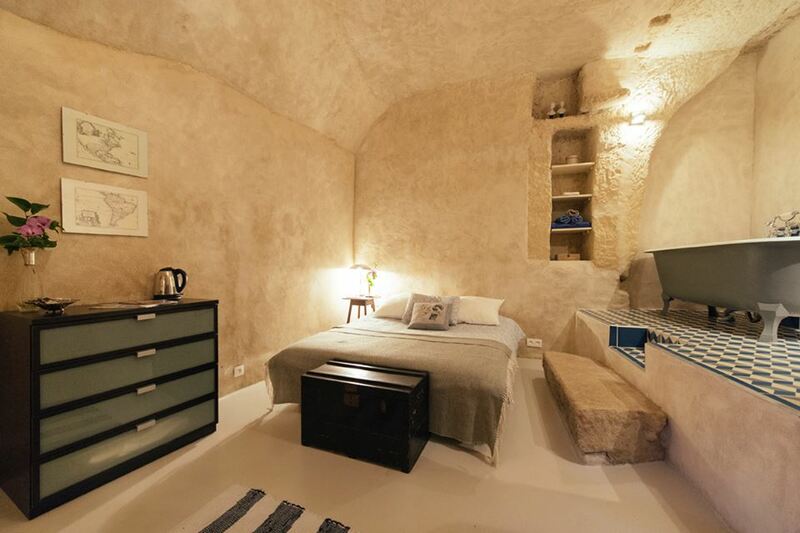 This converted cave in France cost owners 1 Euro and is available to guests via Airbnb. The new owners had to install 36-foot cables within the rock to secure it and keep the ceiling from caving in. They also installed electricity, sewers, and internet. 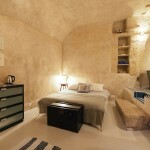 After just 35,000 Euros spent on renovations, the young couple rent out the thoroughly modernized chic, cozy space–known as Chez Hélène-Amboise Troglodyte–on Airbnb for 85 Euros a night. It even has its own Facebook page. (via Vocativ). 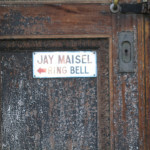 The Germania Bank Building at 190 Bowery was home to Jay Maisel and family for 45 years. Photo: Beyond my Ken via Wikimedia Commons. Photo: Susan Sermoneta via flickr. Left: Beethoven Hall facade. Photo by Alice Lum, © Daytonian in Manhattan. Right: Hebrew-American Typographical Union celebration at Beethoven Hall in 1914 — The Typographical Journal (copyright expired). Kitchen in late photographer Eddie Adams’s home and studio; currently used as a photo studio and event space. Photo © Bathhouse Studios. 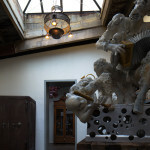 Izhar Patkin’s studio in an old school building. Photo by Zhu Zhe courtesy of BrunchWith.